OSD and CDX plywood are both commonly found on construction sites, because builders and contractors rely on both types of plywood to get the job done. Each of these materials has its own unique properties and qualities, and so each is used in specific applications. Depending on where you are planning to use each sheet of plywood, you will likely end up using both types of plywood if you are planning to build a new home. You may also require both types if you are planning a new addition, especially if that addition has both floors and exterior walls. OSD plywood (which is also commonly known as OSB or oriented strand board) is produced by binding wood chips together with a mix of glue and resin. The mixture is then cast and baked to produce a plywood-like sheet. Because OSD does not use costly veneers it is as much as half the price of regular plywood. OSD also tends to have better waterproof characteristics, since the glue and resin make the wood chips impervious to moisture that can seep in between the plies of standard plywood. This means that OSD is the perfect choice for applications such as exterior wall sheathing and roofing. CDX plywood is produced by gluing together sheets of veneer, with each layer being glued the opposite grain to the one below it. The result is a wooden sheet that is proportionally as strong as steel, without the weight that comes along with concrete or steel. Because of this strength, CDX plywood is the most popular choice for interior flooring; CDX plywood will stand up to many years of use and abuse without warping or breaking. CDX plywood itself is actually not a grade name. Furthermore it stands for a combination of various plywood grades. "C" = one side of the board is C grades, which is the average surface quality. "X" = stands for the type of glue used to hold the board together. In this case X stands for Exposure to Moisture (but NOT water or weather resistant!). ADX plywood : one side extremly high end finish, while the other side might be used for the invisible side. Can be exposed to moisture. 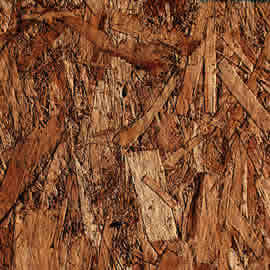 AAX, ABX plywood or ACX plywood are therefore variations of the above. Most of these type of plywood's are used for interior boat construction. ( Note for maritime and boat construction special high resistant plywood types are used). CDX plywood is classified as an "exposure" type of sheathing rather than an "exterior." This means that CDX plywood should only be used inside or on surfaces that will not be exposed to water once the building process is complete. Because of its chemical properties, however, OSD boards, if marked "Exterior" are perfect for exterior applications and resist oven rain over a longer period of time. Another difference between the two plywood board typs is appearance: if you are looking for a wood grain, choose CDX, since OSD plywood is generally flat on one side and rough on the other. To sum it up, make sure you use the right type of plywood for the correct application. Make sure you get the proper EXTERIOR marking if you intent to use either OSD and CDX plywoods for permanent outside weather resistent construction.